Having attended the Sinatra show last night, I must comment on how impressed we were. I cannot believe that the cost was so cheap for all the amazing food and, well what a performance! A really good night was had by all I am sure. Well done to all the hard working crew that made it so great. I will certainly support my local more often if this is the calibre of what to expect. 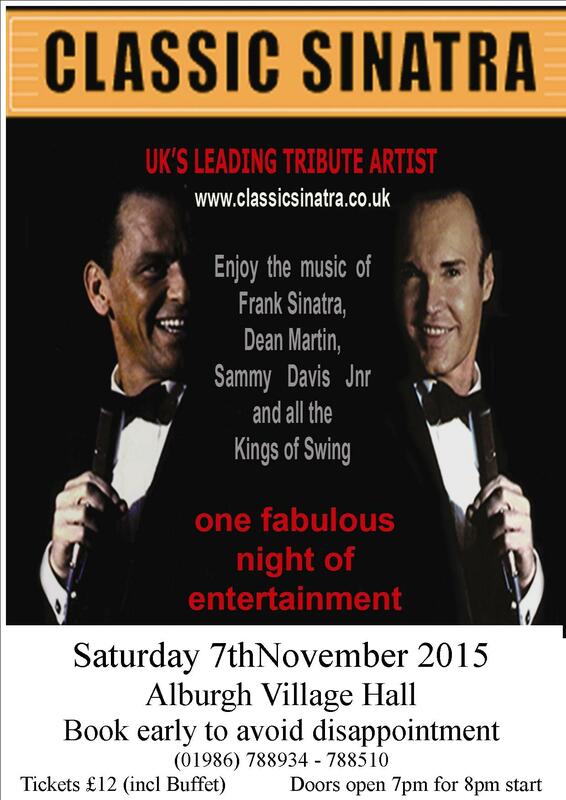 Just had to say thank you to all the people who organised the Frank Sinatra evening. My wife and I have seen Ian on several occasions now and he is always entertaining. His voice is brilliant and the way he engages with the audiance is great. When he sang Nessun Dorma at the end brought us to our feet. We would also like to thank all those who laid on the meal it was splendid I wish I had left room to sample some of the wonderful cakes on offer. A great evening and very good value for money.